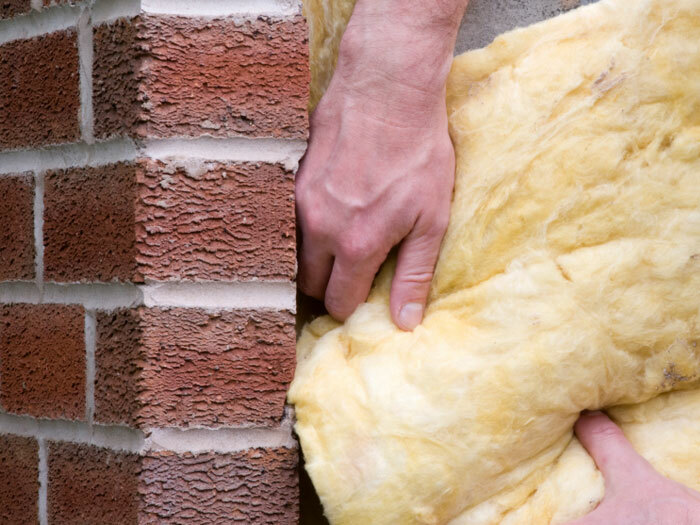 Homeowners invest a bundle insulating their home by carefully sealing and insulating their walls, replacing their old windows, and piling insulation in their attic. 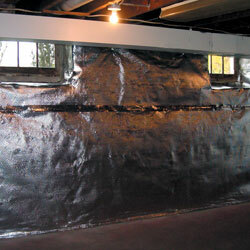 But in many cases, the topic of basement insulation is overlooked. Your basement is a significant part of your home's insulation! And even when you've insulated the basement's ceiling, air will rise into the basement around pipes, around the edges of the door, and through may other cavities. And even in ideal situations, your basement is still the home of many things that are best kept warm, such as your furnace, air ducts, water heater, and hot water pipes. 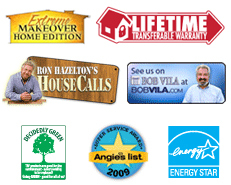 We can help you upgrade your basement's energy efficiency with our warrantied products. To learn more about our basement energy services, call or e-mail us today for a basement quote! The US Department Of Energy reports energy savings within the United States as ranging from $250/year to as much as $450/year in colder regions. Keeping your basement warm will also lead to a less drafty home, warmer floors underfoot above the basement, and a more valuable home. 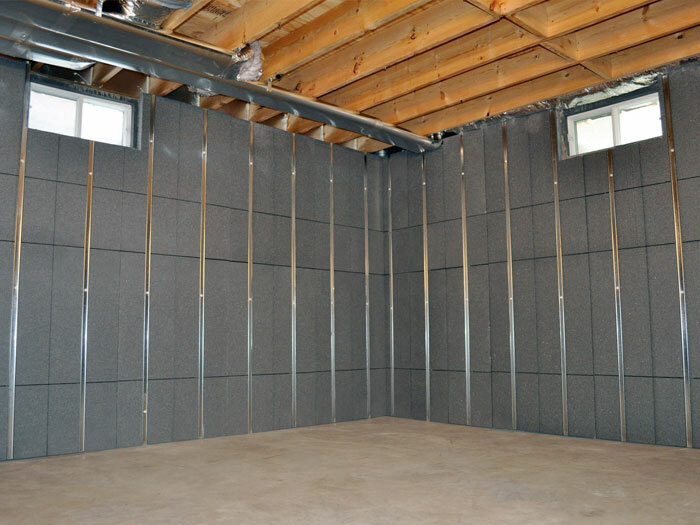 These studded, insulated panels are a great way to add energy efficiency to your basement walls, while preparing the surface to accept a finished wall product. Each panel is created with 2 ½" thick, R-13 insulation and metal studs. The metal studs are designed with 2" of insulation between them and the concrete walls, ensuring that heat does not bypass the insulation by being conducted through the metal of the studs. We used advanced SilverGlo™ Insulation in each panel -- which is designed with a unique graphite infusion process that makes it 24% more effective at insulating than comparable foam insulation products. If you're planning on finishing your basement walls, or you just want to maximize the energy efficiency of your basement, you may also want to consider our ThermalDry® Radiant Heat & Vapor Barrier. 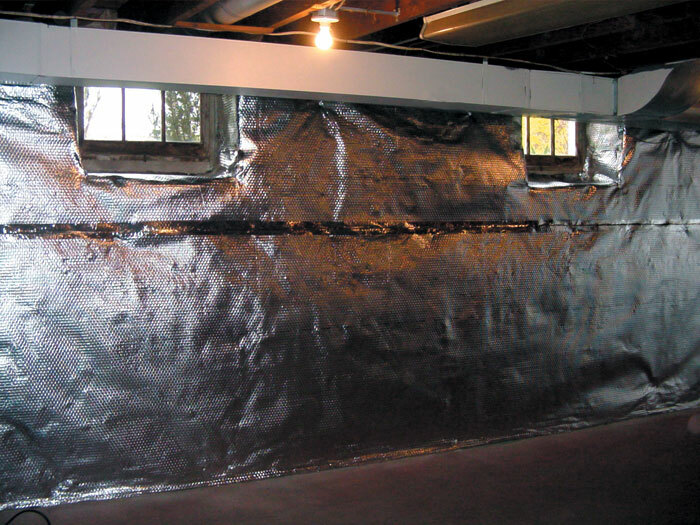 This innovative product does double duty in your basement, creating a watertight vapor barrier on the walls, while its reflective surface bounces back 97% of the heat that reaches it. ThermalDry® can be installed on wavy walls and uneven surfaces. It can be tucked into several of our drainage systems, directing leaking water from the walls to your sump pump system. Concrete basement floors are cold, damp surfaces - and the flooring you place on them will soak up that cold and make your floor uncomfortable underfoot. 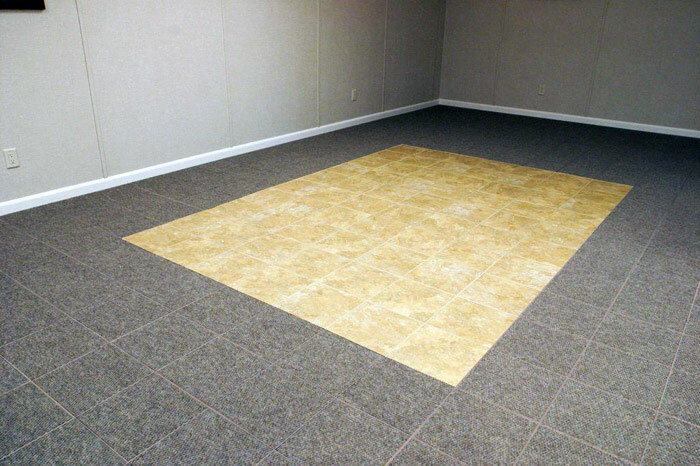 Each of our six different ThermalDry® Floor Tile options (available in tiled, parquet, carpeted, and sub floor matting) rest on raised plastic pegs. These pegs create an airspace and thermal break underneath the floor's surface that separates it from the cold climate blow. The end result? 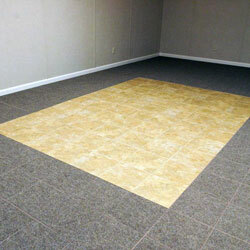 A durable, long-lasting flooring product that's about 8-10 degrees warmer than the cold concrete floor slab below it. 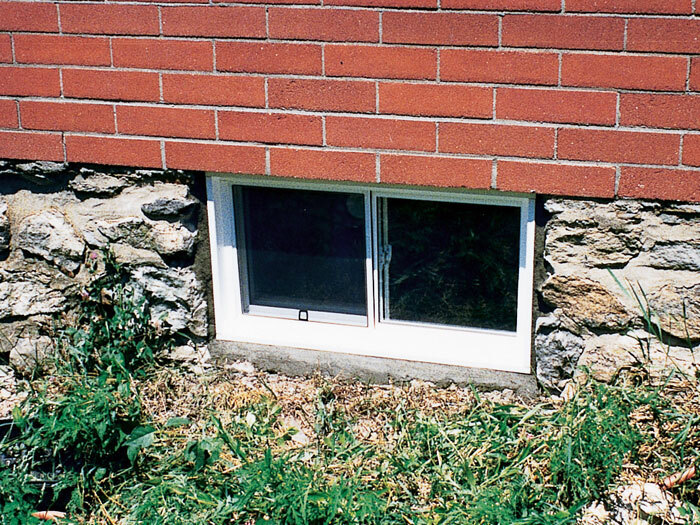 To install a basement window, a large hole is formed in the foundation wall. The window that replaces that section of foundation wall will never be as efficient as the foundation wall section it replaces. This is why it's critical to make the most of your basement window's energy efficiency. Installing windows with a vinyl frame will save a bundle over aluminum frames for energy efficiency. And two panes of energy efficient Low-E glass save a lot more energy than an old single-paned window. 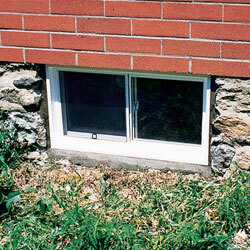 Install a covered window well on the outside, and the windows are now protected from cold winter winds! 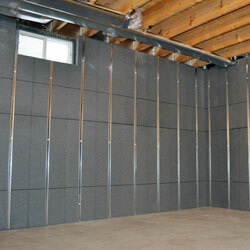 There's a lot of options out there for insulating your basement walls. Some are great, some are good, and some are less-desirable than the others. 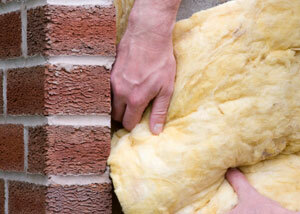 How much insulation is recommended for the basement depends on where you live. Consult your local weather bureau for your city's actual Heating Degree Days (HDD). This is a measurement commonly used to determine fuel consumption and/or the cost of heating during a heating season. We do more than just basements! Our basement experts can also help you maximize the energy efficiency of the space for increased comfort and utility bill savings in your home. It costs you nothing to meet your local dealer to learn more about how we can dry your basement, insulate it, and/or prepare your space for finishing. For a free, no-obligation basement upgrade quote, call or e-mail us today! Your free quote includes a professional inspection and consultation, as well as a written cost quote for proposed work you'd like done and a complimentary copy of our full-color basement book. Our certified dealers serve throughout Canada, the United States, and the United Kingdom. We have a locally owned and operated dealer serving in your local neighborhood!